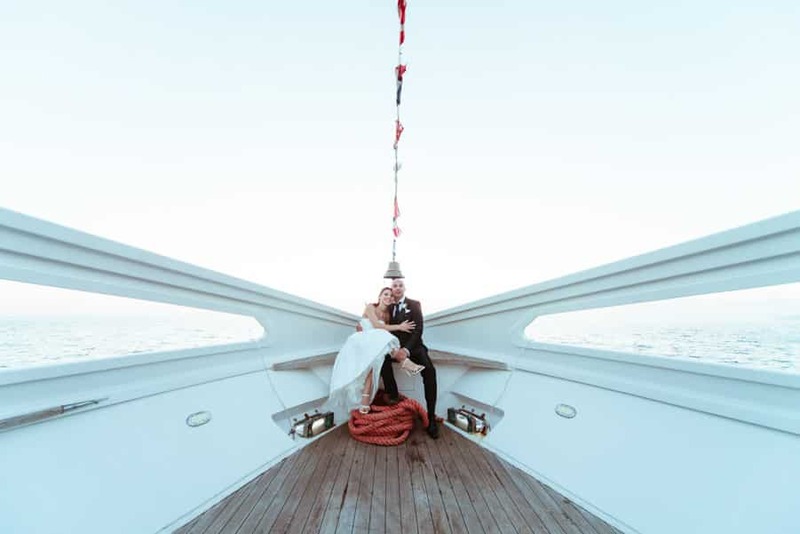 If the sea is your second home and sailing is part of your life as a couple, then a wedding at sea is the original and chic symbolic ceremony for you (with no religious or legal validity). At Bianco Bouquet, our team of experts will help you realize your dream wedding wherever you want it to be. Even in this case, it will be the little personalized details that will elevate your wedding and make it unique. We’ll organize the best day of your life in an extraordinary and untainted setting, guaranteeing maximum discretion and privacy for both you and your guests. 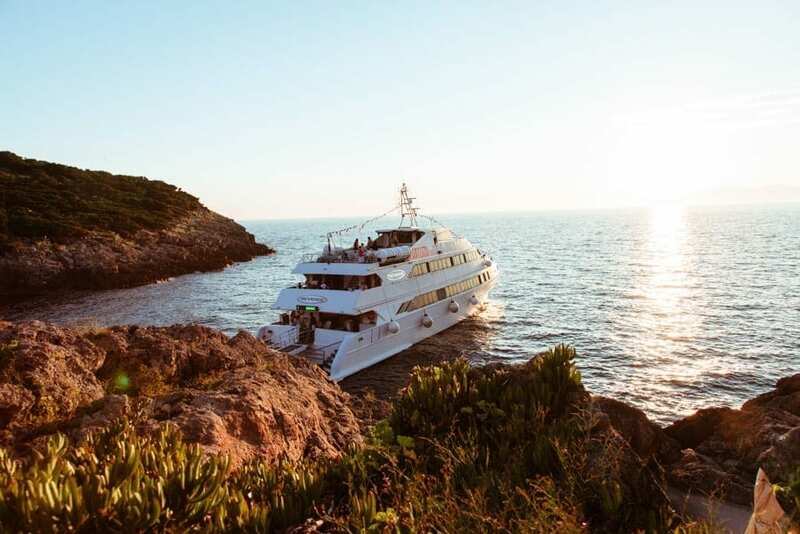 You can celebrate your marriage in the presence of your relatives and closest friends, dine at sea, offer your guests excursions and book your honeymoon trip on board of a private cruise ship. If you are expert sailors, you can choose to man the ship yourself or with your friends, or else we can provide you with a professional skipper who will take care of the sailing for you. We have an array of vessels available, of different sizes and models: sailboats are ideal for small groups, while sailing ships are better if you are expecting several guests. A wedding at sea is just a symbolic ceremony, but it will certainly wow your guests and leave everyone with unforgettable memories. Do you dream of celebrating your wedding at sea? Feel free to contact us. We will create a wedding project tailored to your tastes and needs.